After installing multiple software, servers etc. on my laptop it was overloaded with different tools and running services. When I get a new laptop or it will crash I can start over again installing everything, at home on my iMac I had the same tools and servers. So I decided to setup a DataScience Server with a necessary software and servers. I will not explain it in detail, if you are not familiar with a CentOS installation, there are a lot of manuals to find. Get a fresh “Minimal ISO” copy of the CentOS 7 image from https://www.centos.org/download/. Burn it with your favorite software or mount it in your new virtual machine and boot it. I have changed some things like root password, timezone, disk layout etc. If you have finished the minimal installation we need to install some needed packages. You can edit your configuration and servers with vi /etc/ntp.conf, the default is good enough for me. After the installation is completed check your path and reinitialise it. This is the default installed python with CentOS, we need the anaconda python to be default. The notebook will default run on localhost and you need to start it by hand. I’ve created a systemd unit file to start it automaticly and runs on a different user. Create the system unit file for automatically start on boot. Now we created the unit file we only need to reload the inits and enable the system unit file fo the Jupyter Notebook. # systemctl daemon-reload # systemctl enable jupyter-notebook Created symlink from /etc/systemd/system/multi-user.target.wants/jupyter-notebook.service to /usr/lib/systemd/system/jupyter-notebook.service. # systemctl start jupyter-notebook # systemctl status jupyter-notebook ● jupyter-notebook.service - The Jupyter HTML Notebook Loaded: loaded (/usr/lib/systemd/system/jupyter-notebook.service; enabled; vendor preset: disabled) Active: active (running) since Mon 2016-05-16 16:23:41 CEST; 2s ago Main PID: 2347 (jupyter-noteboo) CGroup: /system.slice/jupyter-notebook.service └─2347 /usr/local/bin/anaconda2/bin/python /usr/local/bin/anaconda2/bin/jupyter-notebook --no-browser --ip=* May 16 16:23:41 dss.home systemd: Starting The Jupyter HTML Notebook... May 16 16:23:41 dss.home systemd: Started The Jupyter HTML Notebook. May 16 16:23:42 dss.home jupyter: [W 16:23:42.101 NotebookApp] WARNING: The notebook server is listening on all IP addresses and not using encryption. This is not recommended. May 16 16:23:42 dss.home jupyter: [W 16:23:42.101 NotebookApp] WARNING: The notebook server is listening on all IP addresses and not using authentication. This is highly insecure... recommended. May 16 16:23:42 dss.home jupyter: [I 16:23:42.108 NotebookApp] Serving notebooks from local directory: /home/jupyternb/notebooks May 16 16:23:42 dss.home jupyter: [I 16:23:42.109 NotebookApp] 0 active kernels May 16 16:23:42 dss.home jupyter: [I 16:23:42.109 NotebookApp] The Jupyter Notebook is running at: http://[all ip addresses on your system]:8888/ May 16 16:23:42 dss.home jupyter: [I 16:23:42.109 NotebookApp] Use Control-C to stop this server and shut down all kernels (twice to skip confirmation). Hint: Some lines were ellipsized, use -l to show in full. Created symlink from /etc/systemd/system/multi-user.target.wants/jupyter-notebook.service to /usr/lib/systemd/system/jupyter-notebook.service. May 16 16:23:41 dss.home systemd: Started The Jupyter HTML Notebook. May 16 16:23:42 dss.home jupyter: [W 16:23:42.101 NotebookApp] WARNING: The notebook server is listening on all IP addresses and not using encryption. This is not recommended. May 16 16:23:42 dss.home jupyter: [W 16:23:42.101 NotebookApp] WARNING: The notebook server is listening on all IP addresses and not using authentication. This is highly insecure... recommended. May 16 16:23:42 dss.home jupyter: [I 16:23:42.109 NotebookApp] Use Control-C to stop this server and shut down all kernels (twice to skip confirmation). If the daemon started you can connect to http://your-server-name-here:8888 and shows your home screen. For installing R we need to install the Extra Packages for Enterprise Linux (EPEL) repo. 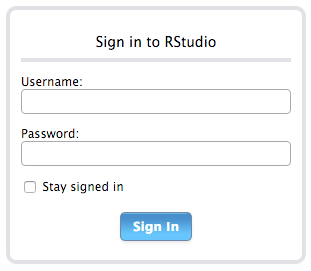 If everything went fine you can connect to your server with the following URL, and you will see a sign in screen. See the official Getting Started document for information configuring and managing the server. I have MongoDB installed as described on the MongoDB site you can find it here. Why should I write it again :). I installed CentOS 7, and therefore I used the Red Hat installation guide. To determine which platform you run, check it with the following command on CentOS. Disable SELinux by setting the SELINUX setting to disabled in /etc/selinux/config. You can check if MongoDB is running and listen on the tcp port. You see servers and devices, apps and logs, traffic and clouds. We see data—everywhere. Splunk®offers the leading platform for Operational Intelligence. It enables the curious to look closely at what others ignore—machine data—and find what others never see: insights that can help make your company more productive, profitable, competitive and secure. What can you do with Splunk? 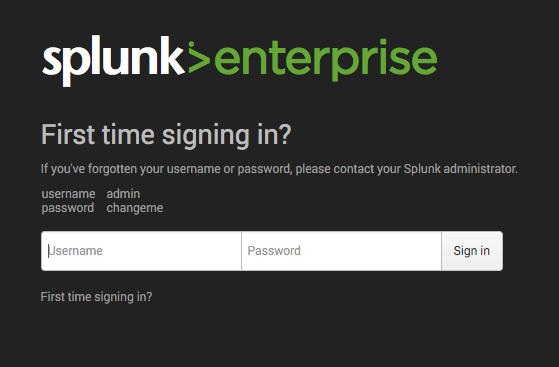 For downloading Splunk® you need to create an account on www.splunk.com. We need to choose Linux, than the 64-bits, stop the download because we are going it to download with the wget command. 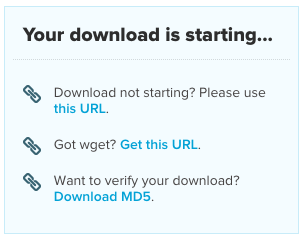 On the right side we can find “Got wget?”, press that and copy the URL into your linux console to download the rpm package. After install go the the directory where Splunk® is installed and start it. We accept the license directly with the start. This appears to be your first time running this version of Splunk. New certs have been generated in '/opt/splunk/etc/auth'. If you get stuck, we're here to help. Well thats it, you we can now start to gather some data and doing some datascience. If you have some questions, follow me on Twitter or mail me, in the footer you can find my contact information. This entry was posted in Data Science, Python, R. Bookmark the permalink.